6 th floor, Anh Duc Digital, 34 Phan Chau Trinh Street, Hai Chau 1, Hai Chau District, Da Nang City. Xenia Tech is hiring a Intermediate Web Full-Stack Developer for their fast-growing Da Nang team. 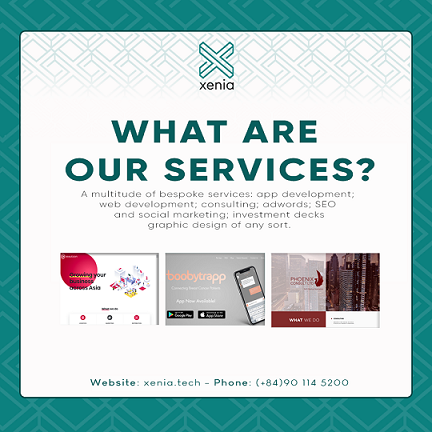 Xenia is a tech company that specialises in designing and developing websites, hybrid, native and web apps for European and Vietnamese companies. Founded in 2017 by a UK entrepreneur, Xenia offers world class products to the Global markets and is a leader in customer service and account management. Completing web development tasks to assigned deadlines. Communicating and updating the Project Manager/ Team leader with progress. Performing towards predetermined KPIs and OKRs. Hitting deadlines for all projects. Minimum 02 years experiences in professional web-app development. Good working experience in NodeJs, ReactJs, AngularJs, Bootstrap. Good working experience in Mongodb, MySQL, PostGres. Good working experience in back-end, front-end frameworks. Have knowledge in RESTful API. Knowing Wordpress, PHP, Shopify is a plus. Familiar with Trello, JIRA, Zeplin and GSuite Apps (Docs, Sheets, Drive, Gmail etc). Willing to learn and improve. Competitive salary. Bonus: 13th month Salary. 10% commission on any sales made. Centrally located office on Phan Chau Trinh, in the heart of Da Nang. Health insurance for employers who pass the probation. Lots of opportunity to grow with the company and gain promotions rapidly for the right candidate. 15 days of holiday per year + Vietnamese holidays + Western (UK) holidays. Xenia Book Club: The company will buy you a business/self-improvement book every two months. 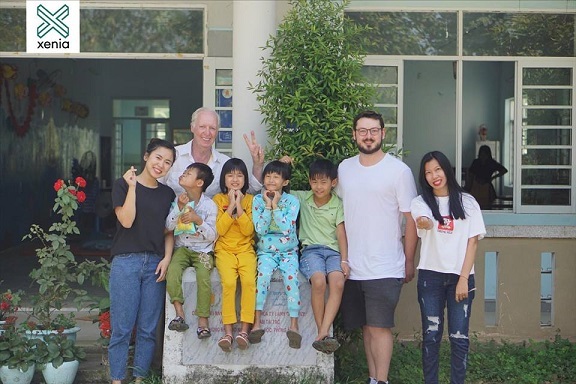 DAVA Charity Project: The company works with the Danang Association for Victims of Agent Orange every quarter and encourages all employees to volunteer 2 working days at the charity per quarter, builds them a free website and donates 5-10% of profits from the quarter.. Evaluation meeting after the first 2 months and performance review with potential for raise every 6 months. Be part of a dynamic, hard-working team and enjoy social events every month. Founded in 2017, Xenia is run by entrepreneurs with proven track records at C-level positions in successful tech startups. 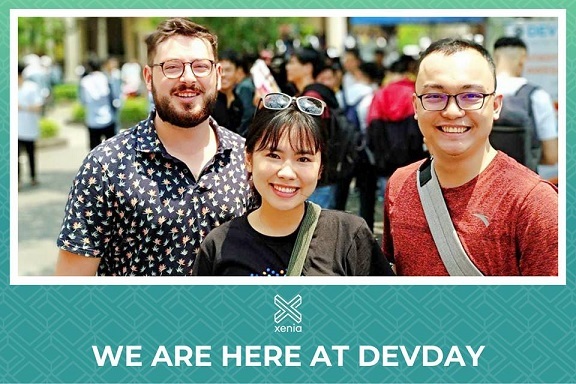 Based in Da Nang and London, with a growing team of over 45 developers, we’re delighted to be your guide from that Eureka moment to the reality of your new product.